HTC Desire Getting Froyo this Weekend! 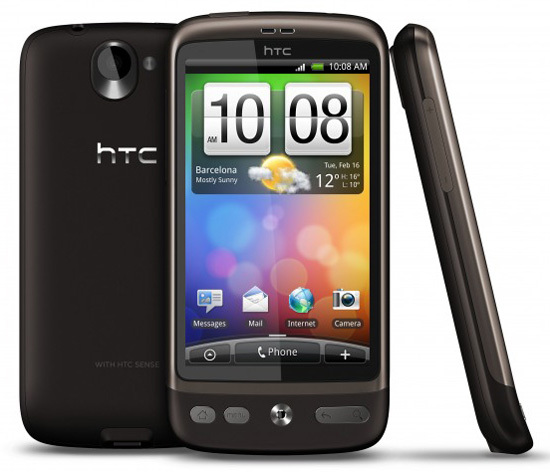 Yesterday, HTC announced that the HTC EVO 4G was going to get Froyo on Tuesday. And now they are continuing with the Froyo roll out, with the HTC Desire coming this weekend! As long as your Dsyncesire is european (most of them are) and not carrier locked, you should see the notification to update this weekend. The update also brings a couple of new features to the Desire. 720p video mode, iTunes sync for your music and the newest version of HTC Sense. There is also the App Share widget coming to the Desire and the smart Caller ID feature. features they first debuted on the HTC Wildfire. However, carrier locked Desire's won't be getting the update until " several weeks' time." The Android 2.2 (FroYo) update for HTC Desire will start rolling out across Europe this weekend. As well as including the complete set of Android 2.2 features, the update will contain a few special additions of our own through the latest iteration of HTC Sense. The update will provide 720p video capture, HTC's App Share widget, as well as our enhanced HTC Caller ID, and improved multi-language keyboard. Also, through the update, HTC Sync will allow HTC Desire users to sync their music with iTunes.